A scene from 'Giselle'. Photo John Hogg. Strut Dance's (from left) Natalie Allen, Zachary Lopez and Bernadette Lewis. Photo: Simon Pynt. 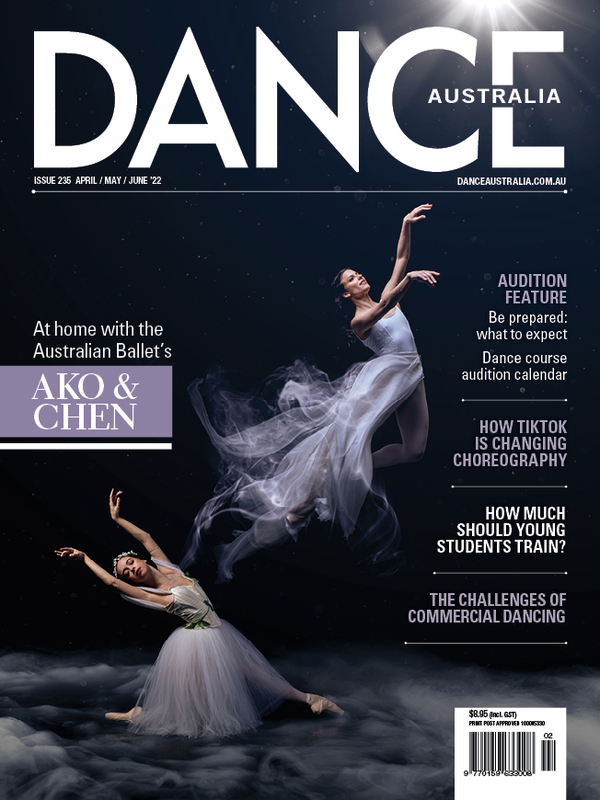 The 2019 Perth Festival program has many dance highlights to savour, including two “of the world's most exciting artists working in dance”, according to the Festival Artistic Director, Wendy Martin. One of those she is referring to South Africa's Dada Masilo, a South African dancer and choreographer who is making waves with her unique interpretations of the classics. She will be presenting Giselle, which is set in a South African village with barefoot dancers dressed in red tutus. "This is a Giselle for the 'Me Too Movement'," says Martin. The other is Michael Keegan-Dolan from Ireland, who is presenting a version of Swan Lake which is set in an Irish housing estate where the women are the victim of spell cast by a Catholic priest. The ballet features a surprise guest artist from Australia – 84-year-old Elizabeth Cameron Dalman. Perth choreographic centre Strut Dance is combining with Maxine Doyle from Punchdrunk (UK) to create Sunset, which will take audiences through the abandoned buildings of Dalkeith's Sunset Heritage Precinct. The cast combines actors as well as dancers Natalie Allen, Bernadette Lewis and Zachary Lopez. Perth's Ochre Contemporary Dance Company is joining up with Daksha Sheth Dance from India to create Kwongkan (Sand), a cross-cultural, cross-theatre work that explores the similarities between the sacred lands of desert Australia and tropical India. The Nature Of Why is features the remarkable British Paraorchestra, which consists entirely of musicians with disabilities. They will combine with dancers choreographed by Australian performer and disability advocate Caroline Bowdich. Also on the program is One Infinity, a co-production with the Melbourne Festival which brings together Beijing Dance Theatre from China and Dance North (see a review of the Melbourne season here). And in another major collaboration, the West Australian Ballet will join with Co3 (WA's contemporary dance company) and Garry Stewart, the artistic director of Australian Dance Theatre in Adelaide. They will present Reincarnation, presented as part of the WAB's annual Quarry Amphitheatre season (see here for more details). Perth Festival runs from February 8 to March 3.